You can't go wrong with the classic dish of Cajun Shrimp with Cheesy Grits! This recipe is ready in under 30 minutes and features a side of sauteed greens to balance out the meal. Toss the shrimp with the Cajun spice. Heat 1 tablespoon of olive oil in a large skillet, and add the seasoned shrimp. Cook the shrimp about 2-3 minutes per side, or until fully cooked. Remove from pan and set aside. Cook the grits according to the package, stirring constantly. Remove from heat and stir in shredded cheese while the grits are still hot. While the grits are cooking, add the remaining 1 tablespoon of olive oil and minced garlic to the same skillet where you cooked the shrimp saute for 1 minute, and then add the baby greens. Season with salt and pepper (no other seasoning needed, as the greens will pick up the Cajun spices from the skillet). Cook stirring occasionally for ~5-7 minutes or until the greens have wilted. 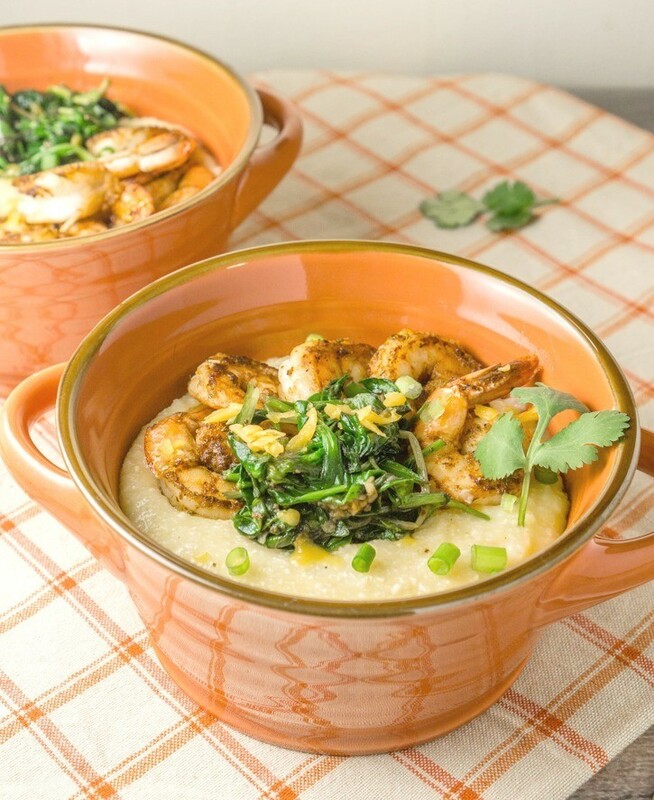 Serve the Cajun Shrimp and Sauteed Greens over the Cheesy Grits.